R-E-S-P-E-C-T" was VERY evident at both Aretha's funeral and the AMAZING Tribute to her by many talented performers who loved her so.and her music so much. (See latter in video below). Having researched and viewed so many tributes to her both before and after her death, I decided that this one showed a side of Aretha not always evident written with "R-E-S-P-E-C-T"
It was 1964. I I was on a plane to Detroit to interview Aretha Franklin—The Queen (not of Soul; of everything!). She hadn’t given an interview to any major publication in over a decade. made no sense, but her voice would have also shattered every highball glass in the joint. Diana Ross-crossover pretty she wasn’t. So what. Aretha was merely and utterly and obviously magnificent. Who had ever heard a voice like hers before? No one has since. After violent turbulence for an hour, my plane landed in the midst of a wicked ice storm. Drenched and shivering, I rented my car and pulled up to the closest phone booth to call and double check the directions to Franklin’s home in Bloomfield Hills, a suburb of Detroit. Aretha answered the phone. Oblivious to the violent weather, she told me that she had changed her mind again. She didn’t want to do the interview. I told her I was already in Detroit. She said she was sorry, but she wasn’t in the mood, and to try her again in a few days. I guess I was too chilled, wet, tired, shaken by the flight, and aggravated to care about being polite because I told her she had two choices: she could either go through with the interview or she was going to be responsible for the frozen dead white boy the police were going to find tomorrow on her front lawn. Aretha then told me about a short cut to her home and that she would see me in about a half hour. She never mentioned canceling again. Nor did she mention, nor did I dare ask about (after all it was freezing outside) her preteen pregnancy, her famous, domineering and philandering father, whose fierce and fiery sermons attracted icons like Mahalia Jackson, Jackie Wilson, Sam Cooke, Albertina Walker and Martin Luther King Jr. to their home. We also steered clear of talking about her three failed marriages including her first to producer and violent abuser Ted White, Jr., family tensions with her sisters and spirited rivalries with other singers. Frankly, I didn’t care. What I wanted to talk to Aretha about was music. And though she was not well-spoken, was known for being justifiably guarded, and abruptly ended her formal education when she dropped out of high school in her sophomore year, when I asked her anything about soul, jazz, music composition or gospel, there wasn’t a professor at the Berkeley School of Music who wouldn’t have sat at her feet in awe. Her eyes suddenly glowed. Her body became animated. She'd jump up to sing a phrase, or put on another recording. It’s a pity that most reading this tribute will not recognize the name, but Aretha rhapsodized for fifteen minutes on Art Tatum, perhaps America’s greatest jazz pianist, whom she considered a genius, and then sat down at her piano, to play in his style and show me how his freewheeling riffs influenced the way she sang. Thank God for tape recorders because I was too swooning to write. When I told her I loved gospel music, she immediately illuminated subtle connections between Shirley Caesar’s music and the secular sound of Sam Cooke. The Aretha sound most of us know and worship emerged in 1967 with the release of her first album I Never loved a Man (The Way I Loved You) on Atlantic Records, guided by the great Jerry Wexler. The album included the title song, “Baby, I Love You” and her musical calling card, her signature version of the Otis Redding’s “Respect.” The album went gold. 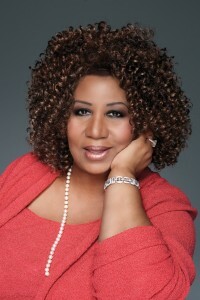 Aretha won 18 Grammys during her career. A great singer isn’t always a great performer. I’ve witnessed those nights where a distracted Aretha has walked onstage not only with the requisite fur coat (even at an outdoor concert in June) but also wearing a watch and sang as if she had a bus to catch. There were other evenings where you thought maybe her voice is going until she sat down at the piano, got lost in her playing and blasted your senses into bliss, and then returned to toss off hits in the key of rote. But then there were concerts, the ones you remember, especially for a cause that counted, or in front of an audience that mattered, or because she was challenged by other divas on the bill (she was known not to play well with others) when she’d stride out not looking left or right and in no time would blow the false eyelashes off women in the balcony. When she wanted to be, Aretha was unvanquishable. Offstage was a different tale. Her well-known fear of flying, which she never conquered, was one indicator. More tellingly, the woman I spent the day with and woke me in the morning after falling asleep on her couch (we talked until 2 am. (Remember, this was when interviews were more than just plugathons for a new fill-in-the-blank), was not a powerhouse in her modest home. She was a vulnerable lady who didn’t want that part of her to show. She was confident in her own talent, but not in her own skin. In recent years, things seemed to change. While other aging singers often deal with compromised power and range by trading on style and memory, Aretha eerily seemed to gain strength. Her gospel roots got stronger. Her showstoppers obliterated all comers. She made President Obama giggle like he’d gotten his first kiss from the prettiest girl in the class. Aretha retired and then left us at the height of her glory. But on that day, thirty-four years ago, regardless of her unmatched talent, I talked to a singer who knew there were plenty of other artists vying to topple her place from the charts and who was openly worried about where her next hit was coming from. “All I have is what I got,” she said to me, without a trace of irony, as I was putting my coat on to leave. When I replied that no one but no one had what she had, she smiled politely, reminded me which Art Tatum albums I had to buy, hugged me and handed me a coffee to go. To this day, I regret not stealing that container of Maxwell House International Coffee Mocha Suisse. I would have kept it on my bookshelf like a Grammy.